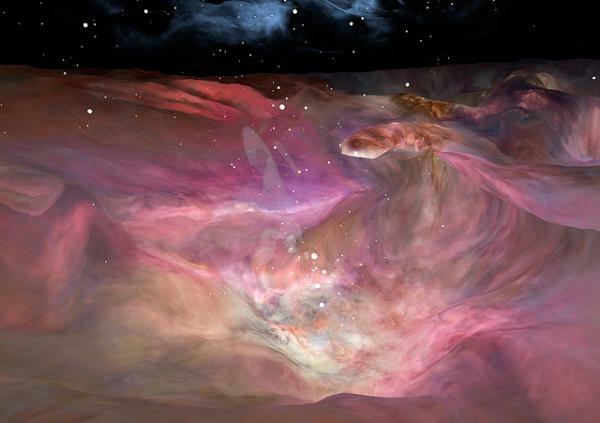 The Orion Nebula is one of the brightest in the night sky and lies south of Orion's Belt. It is 1344 (plus or minus 20) light years away and is the closest huge star formation area to earth. As such, it is the most photographed in the night sky and has taught us much about star and planetary formation.